This might be a little long but felt it should be shared to Garmin users. Just purchased a 74cv echo chip with 4.2 software. Like the unit very much. Came with g2 charting. They have come out now with the g3 charting. Anyone having the earlier software can down load the new software from their computer using a SD card and then download into unit and then remove card. If you cannot download from computer Garmin will send you a SD card to download into unit then remove it. This needs to be done to download the g3 charts. Contact Garmin for instructions for downloading the g3 or ask them to send you the new g3 SD card. The new card MUST be kept in the unit for the g3 to work. It will not download and store in unit. Told this is for all older units that will accept the new g3 charting. The g3 SD is free for units under one year old. Older units, the card is $30. Hope this information helps some of you. To have this all done the unit must have been registered online with Garmin which is a PIA. Both I and others are having problems with online registering. I you also have this problem, call them and they will walk you through the process while doing it. The wait time is over an hour so you can leave your number and not loose you place in line. Have to say their tech support is excellent and will take all the time needed to help you. Even if it is to setup your unit while on the boat as they did for a friend who knew nothing about a gps. this should have been posted a week ago. Do not know why it didn’t go through. Do not know why it posted two times, sorry. Patients wearing thin. Here is my experance with the G3 and Garmin . Have longed for this update for months . I checked on their website , to make sure my older 740s , was compatable , for this G3. It clearly stayted that it was . Got it , installed it , and it was complete garbage . Reread your post , and realized I needed to update software to 4.3. Ordered the update from Garmin. Put in G3 and nothing . Called Garmin , and the tech stated that my unit , being older , was not fully compatable , it would only do very limited things . Well after telling them , their website fully stated that it was compatable , he put me on another 30 min hold . When he came back , he told me that I was 100% correct and their webpage should of stated that . His supervisor was very appologetic , and asked me how Garmin can help . Long story short ... I still won’t habe a Simrad with FMT yet . Garmin took a 100% refund on the G3 vision card and is sending me a 2019 Echomap plus 74sv with G-3 preloaded for $150 more than the price of the G-3 Vision card was . I have thrown in the towel on Garmin as well. Studied you tube to see what's next and want FMT ability and found the latest Lowrance HDS Live in 9" for 1650.00 with the brand new 3 in 1 transducer included from place in Kansas called Russell Marine Products. They have huge presence on you tube. No tax no shipping to Florida. Made the move. Garmin coming off this weekend in hopes the Lowrance arrives Monday or Tuesday. My first go with Lowrance but couldn't pass the price for the latest tech so will post up my experience as I go. Ran my my new Lowrance Elite-9 Ti2 with the FMT chip today in the ENP back country and could not be happier it is night and day compared to Garmin. triplec you will be very satisfied. The screen shots and commentary on the Garmin G3 are starting to roll out on the blogs. I have seen not a single positive comment on it yet. All seem to be very disappointed for various reasons. Some find no change, some find minimal changes that do nothing for them and some find the updated imagery a total mess. Here is a an example of G3 imagery. 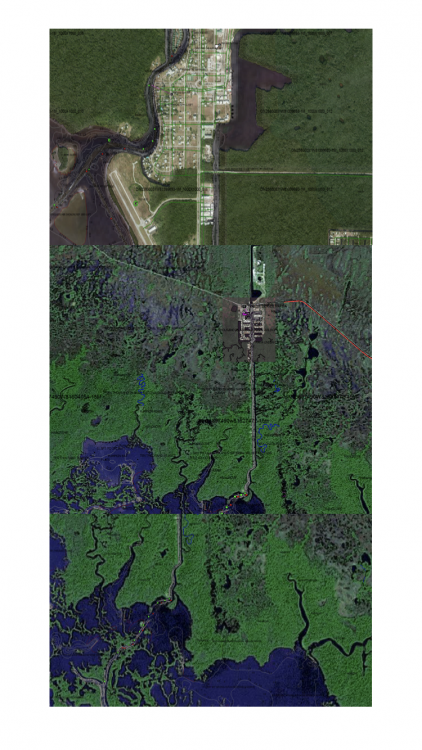 One is of near Everglades City and the other up near Maryland. Wow -- it really is awful. 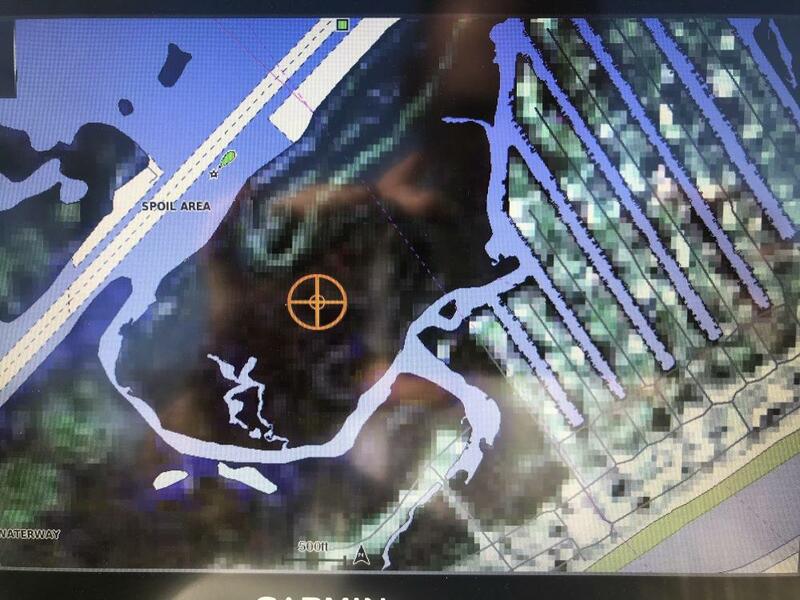 I imagine this new release is going to go over like a ton of bricks for all inshore Garmin users hoping their previous map woes would be solved. Garmin better do something quickly and in a big way to catch up. I’m jumping ship the next time I buy a gps/fish finder and I’ve had Garmin on my boats for years. One of those screen shots looks like a kid did it with a coloring book. Was just looking at new units yesterday at Westmarine, the only place I can see Simrad hands on in Charleston and looked briefly at Garmin. Was going to go back today after seeing a Garmin I missed on sale. Guess I'll pass after seeing this, thanks for saving me money! Gross profit dollars in the 52-weeks ended December 30, 2017 increased 6% while gross profit margin increased 210 basis points compared to the 53-weeks ended December 31, 2016. Growth in sales of higher margin segments contributed to the increase in gross profit dollars and gross margin percentage. Outdoor, fitness, and marine segment increases to gross profit margin were primarily due to product mix within those segments. Auto and aviation segment gross margin rates were relatively consistent between fiscal periods. Yeah.. I agree with Capt. Dewalt. Garmin probably doesn't care much about any of this. In their big picture it doesn't amount to much. 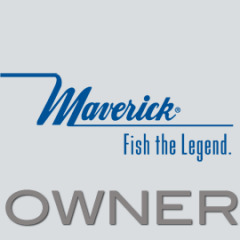 Losing a few thousand inshore customers a few boat mfgs is not significant. They appear to be more concerned about the deeper water rigs where their map detail is on par with the other charts. But it is sad to see such poor quality continuing to be delivered in tow with all the marketing hype from them. No matter how you slice it, the Garmin charts inshore are horrible on accuracy and detail and the photos are a complete disaster. If I was a Garmin employee or management type I would be embarrassed to deliver that to the market regardless of what the reported financials look like. If they fixed the maps the reported numbers would be that much better. Perhaps they figure it will cost more to address the problems than the anticipated losses by not doing so.